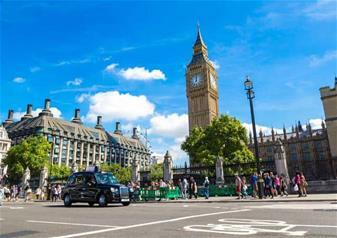 Start the day off with an exciting panoramic tour of some of London’s most famous sights. Create lasting memories during our drive past the historic Westminster Abbey – the venue for William and Kate’s Royal wedding - cameras at the ready! From inspiring paintings to gloomy crypts, St Paul’s Cathedral and its sweeping dome is a historical masterpiece. Step inside this three hundred year old church and uncover London’s vast religious history – from the depths of Lord Nelson’s tomb to the sights of the the Golden Gallery from the cathedral floor! The tour hits a royal note as we arrive outside England’s most famous residence – Buckingham Palace! Invitations inside are hard to come by, but our photo stop in prime position outside the palace is the next best thing. Witness the truly British Changing of the Guards ceremony and see the ornately dressed Queen’s Foot Guard march alongside a military band. After snacks, you will visit the Tower of London – a 1000 year old fortress that hides a past full to the brim with torturous tales and major historical events. See the sparkling Crown Jewels sitting snugly in the Jewel House guarded by Yeoman Warders and explore the tower that has once been a Royal Palace, prison and zoo! Get to know one of the Yeoman Warders during this exclusive tour with the loyal guardians of the Tower. Once responsible for watching over ill-fated prisoners, the Beefeaters’ duties are now altogether more pleasant. However, they can still entertain with stories of gory execution and violent ends! Escape the formidable Tower and take to the river for a relaxing River Thames Boat Ride. As you float down towards Greenwich, enjoy this unparalleled view of London’s attractions and landmarks. Greenwich is an absolutely beautiful part of London – A World Heritage Site positively bursting with history. See the iconic tea clipper boat The Cutty Sark and the Christopher Wren designed Old Royal Naval College. After your walking tour, board the river boat and head back towards Central London, taking in more gorgeous city sights. Choose to alight at either The London Eye near Waterloo and Westminster or The Shard at London Bridge. Your tour ends at around 5.30pm. We started on the bus and the guide gave interesting information on the way to Buckingham Palace. Although the Changing of the Guard wasn't conducted this day, she provided useful information about where to stand for the ceremony. A monkey wrench was thrown in when after seeing the Changing of the Horseguards, traffic was blocked all over the city. The guide, in contact with the company, had to for-go the planned bus transportation and use Thames River taxis for the rest of the trip and that made lunch and the rest of the afternoon a little confusing, but, it all ended up working out and we enjoyed our cruises on the Thames. The guide was very helpful giving information about where to get off and how to get to any further destinations at the end of the trip. One concern was the time it took for the guide to purchase the tickets into the Tower of London. That took a long time I think could have been avoided.